The sunset was beautiful, and everyone was out for a stroll on the Malecón. There are hundreds of restaurant choices in Puerto Vallarta, ranging from wildly elaborate theme restaurants to thinly-disguised discos to American chains like Bubba Gump’s Shrimp Company. I didn’t find the internet very useful on this trip, so I was left to make my best guess for dinner. 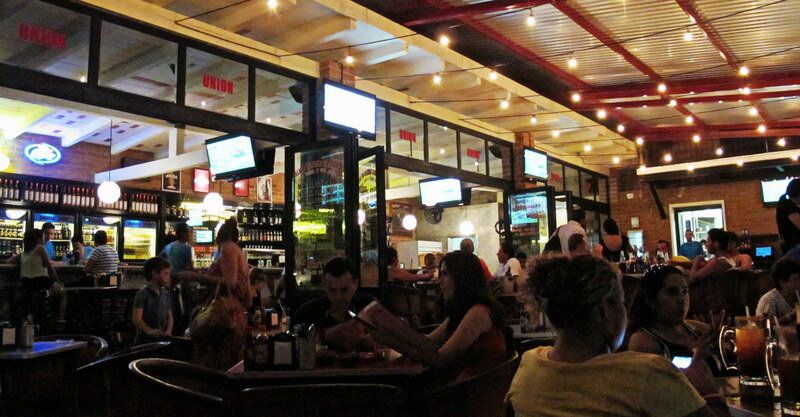 Something about the casual atmosphere, upscale clientele and interesting menu of La Cerveceria Union gave me a good feeling… not to mention the oyster bar. It’s a lovely big room, with an open patio perfect for watching the sun set. 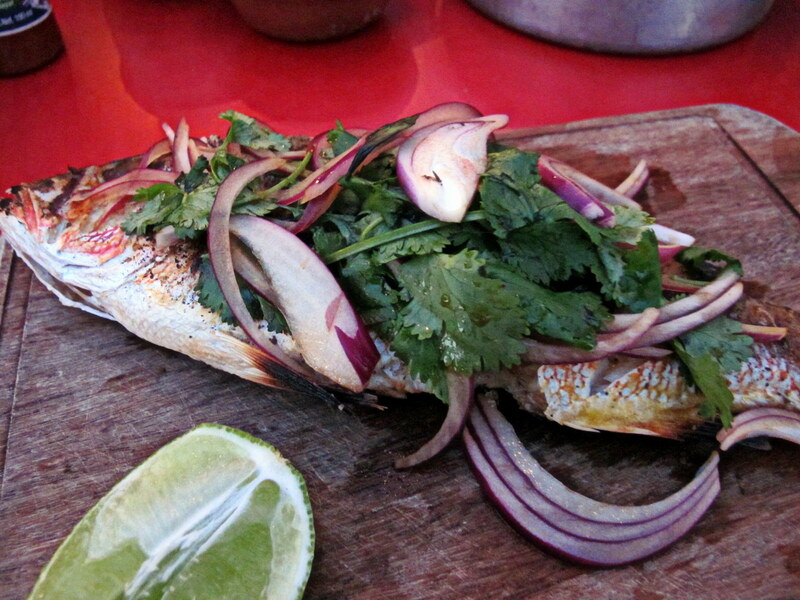 I ordered the huachinango – red snapper – and was delighted with the way it was presented. It was a perfectly grilled fish with only the slightest spice rub, served on a wooden carving board, and smothered with fresh cilantro and red onion. Service was quick and friendly, the people-watching was fun, and manager David Monjaraz made me feel right at home. This entry was posted in Food!, Mexico Travel and tagged Bruce Critchley, huachinango, Malecón, Mexico, oyster bar, PuertoVallarta, red snapper, Restaurant by brucecritchley. Bookmark the permalink.